(Natural News) A Pakistani study evaluated chicken eggs for residual signs of pesticides used in other parts of the farm. It reported coming across significant levels of the toxic chemicals in the eggs, more than enough to pose serious health risks for humans who consumed the contaminated products. Punjab University supported the study. Its findings were published in the scientific journal Food Science and Technology. Chicken eggs were collected from different poultry houses and farms. The pesticides in the eggs were extracted, identified, and evaluated. Residues of the insecticide bifenthrin and the fungicide difenoconazole were found in all egg samples. The detected levels were much higher than the maximum residue limits (0.05 milligrams per kilogram) set by the internationally-recognized Codex Alimentarius Commission. The neonicotinoid insecticide imidacloprid did not appear in any of the samples. 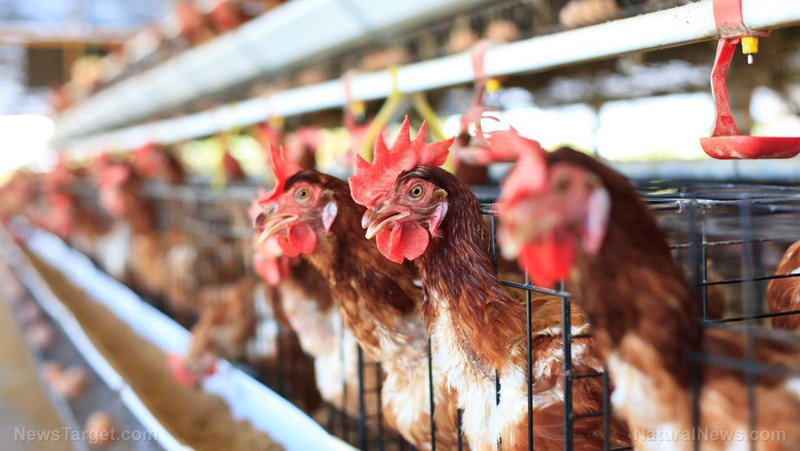 Bifenthrin levels were higher in the samples taken from poultry farms. The concentration at both the lowest (1.5862 mg/kg) and highest (5.80796 mg/kg) range also exceeded the ranges of their house egg counterparts (0.256206 mg/kg and 4.112387 mg/kg). Higher levels of difenoconazole were discovered in poultry farms, with a low of 0.02835 mg/kg and a high of 21.9835 mg/kg. The highest level of difenoconazole greatly exceeded that of bifenthrin. In seven samples, difenoconazole went past the cut-off value of the health risk index. The values for bifenthrin did not exceed the cut-off value but were still high. The researchers concluded that the pesticide residues in the eggs could potentially harm the health of human consumers over medium and long lengths of time. You can examine the complete study at this link. To learn more about the health risks posed by pesticides, visit Pesticides.news. Hamid A, Yaqub G, Ahmed SR, Aziz N. ASSESSMENT OF HUMAN HEALTH RISK ASSOCIATED WITH THE PRESENCE OF PESTICIDES IN CHICKEN EGGS. Food Science and Technology. 9 March 2017;37(3):378–382. DOI: 10.1590/1678-457x.11616.